You have tried on several frames of varying prices and styles… but for some reason on in particular stands out. It feels more balanced. The finish seems more polished and smooth. It just looks better. As you try on frames your instincts tell you that one frame stands out in quality over another. But why is that? What goes on before that frame reaches your face that makes all the difference? 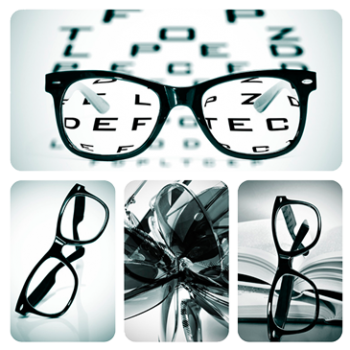 The fact is that not all ophthalmic frames are created equal. Much of the cost of a new frame, especially new styles and materials, are in the research and development it takes to bring a new frame to market. As a medical device, in order for a frame to feel good, look great, and protect your eyes, the style must go through a multitude of tests and steps to comply with heavily regulated legal and safety standards. Materials vary greatly in both quality and cost. Newer plastics like acetate and sturdy metals like titanium provide comfort and durability, but at an added cost to acquire and manufacture. Like a car, computer, or bicycle, the quality of the parts vary greatly as well and hinges, nose pads, and ear pieces can be either well-made or just so so. The manufacturing process varies greatly as well. Some frames are made in less socially-conscious countries and while the savings can be significant, the means to that end are often questionable. The manufacturing process can count as many as 100 steps to make one high-quality frame when it is handled by hand, requires the use of special machining and welding for high-end materials, and has added steps to ensure a better, more finished product. In the case of designer frames, brand licensing itself ensures quality and control. Most well-known brands have strict quality assurance and marketing standards that add to the price but result in a better product for the brand-loyal consumer. Last but not least, warranties are a great indication of quality in frames today. Unlike insurance or service agreements you pay extra for, manufacturers warranties show that the frame makers stand behind the quality and reputation of their brands.